Engineering: Working with customers to assist them in determining logistical layout, utility requirements, equipment design and control requirements. Technical Service: Conduct workshops, webinars, and product trials at customer site and/or in our modern pilot plant. 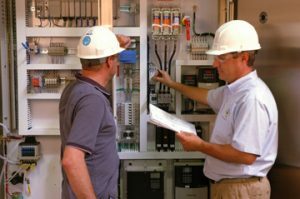 Start Up/ Operator Training: Service Technicians are provided for new installation commissioning as well as annual or semi annual site audits of SBS processes. Troubleshooting by telephone is available 24/7. Inside Sales: Assist with replacement items and parts. Sales Engineers and Industry Representatives are trained and ready to address any issues or assist with continuing improvements or new applications.